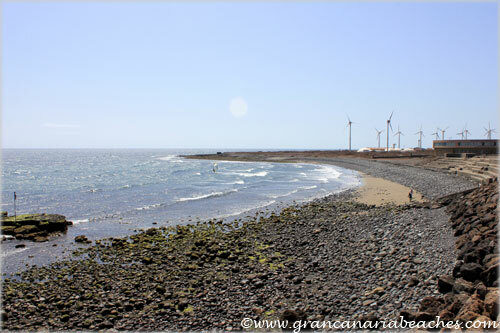 The Pozo Izquierdo beach is located on the east coast of the island of Gran Canaria and belongs to the municipality of Santa Lucía de Tirajana. This area of the coast got its name thanks to a salty water well where they used to feed the cattle. During pre-Hispanic times, in the area known as Punta, there was an aboriginal settlement. 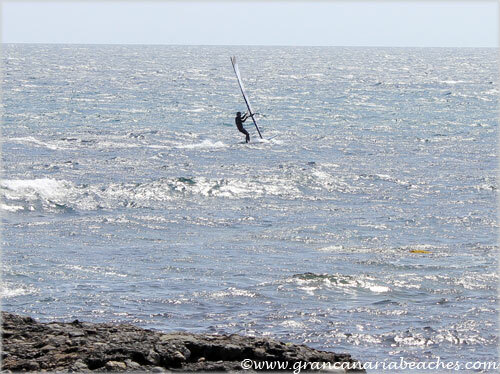 Pozo Izquierdo is one of the best natural areas in the world for windsurfing. 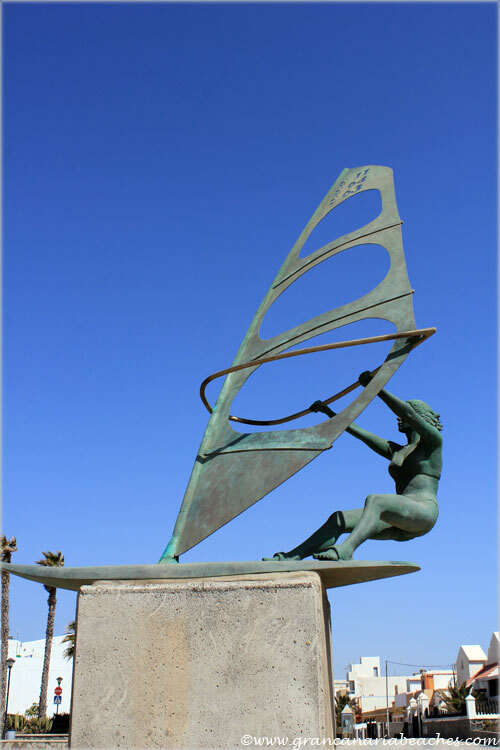 During the month of July, the best surfers come here to attend the world famous windsurfing events. Athletes like Björn Dunkerberck or Daida and Iballa Ruano continue to spread word about how wonderful this beach is, and the fantastic features offered by the trade winds. All this makes it a great area to practice all types of windsurfing such as Freestyle, Wave and Slalom, to an excellent standard. 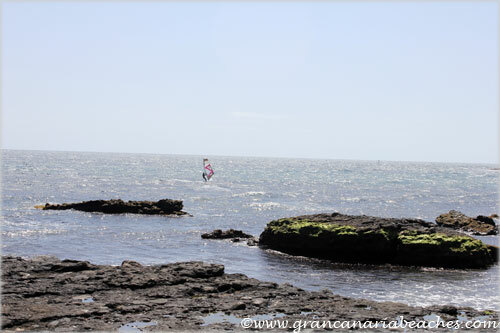 If you love this sport, you must visit Pozo Izquierdo. The world's elite professionals all come here. If you like the sport, your technical level really doesn’t matter. All you need is willpower and energy because you will find a great deal of training schools that will make you fall in love with this sport. During the first fortnight of July, the city council of Santa Lucia de Tirajana organizes live concerts, various workshops, free outdoor lunches, and mountain bikes tours. Although windsurfing occupies most of the wide variety of leisure activities and sports on this beach, diving is becoming very popular. There are plenty of diving schools that also hire equipment, in this area. 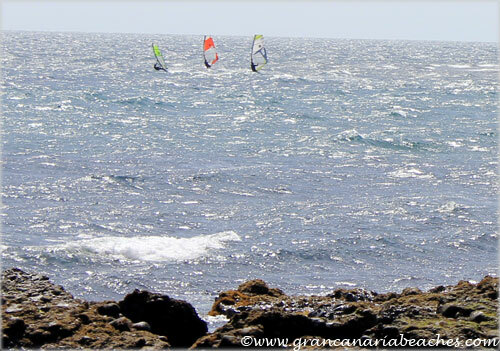 The wind, ocean currents, waves and sun form the right combination to enjoy this sports and touristics spot of Gran Canaria. It doesn’t matter that the sand is hardly visible during most of the year, although it does appear during low tide. 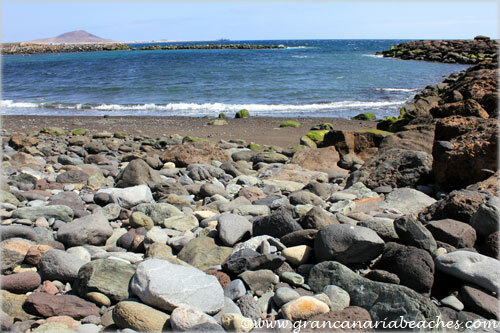 The round stones on the coast help cleanse the water. Pozo Izquierdo's cuisine has a special offer based on the consumption of fresh fish and squid (cut and fried in rings), that can be tasted in the restaurants in the area. 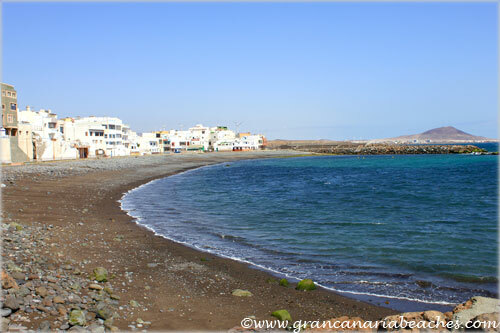 Access to the beach of Pozo Izquierdo is easy and clearly marked on the exits of the GC-1 motorway, which connects the island’s capital with the beaches of the south.